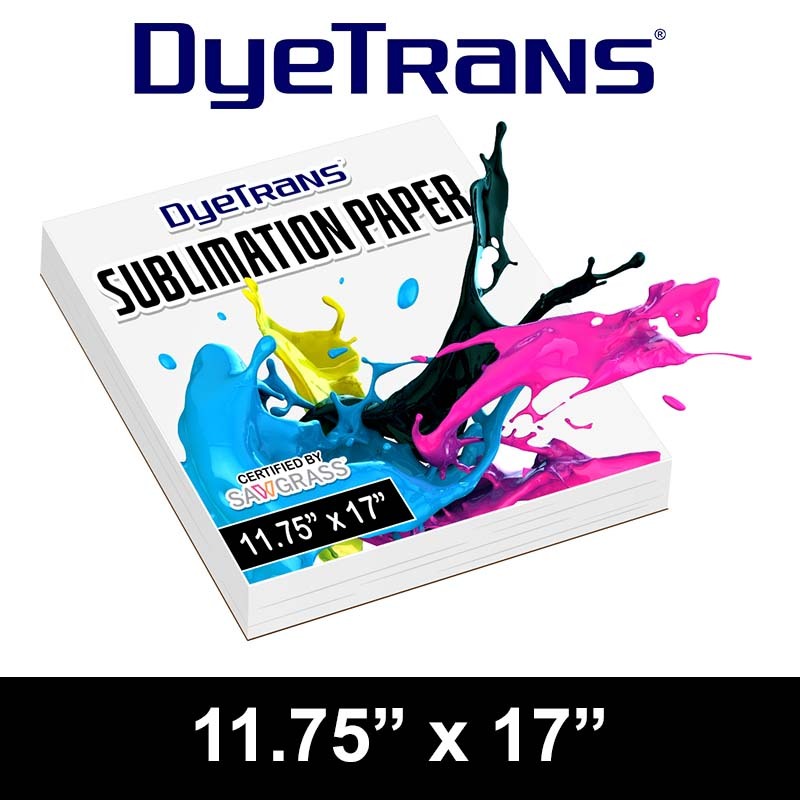 DyeTrans Multi-Purpose Sublimation Transfer Paper - 100 Sheets - 13" x 19"
DyeTrans™ Multi-Purpose Ink Jet Sublimation Printing Paper, 13" x 19", (31#), 100 Sheets/Pack. 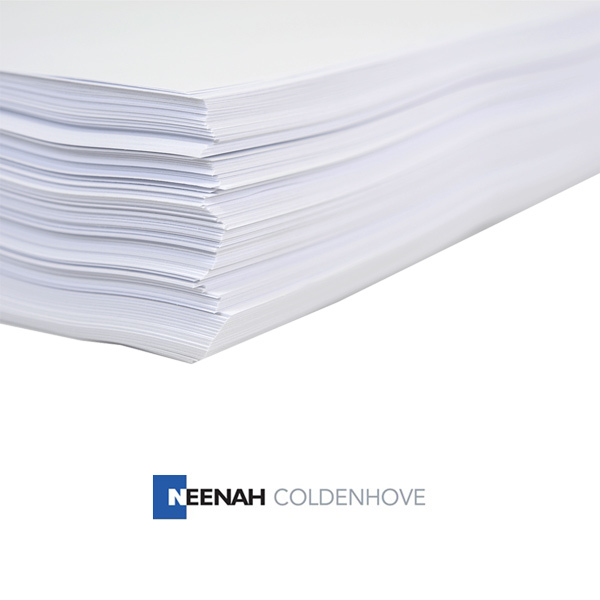 Cut sheet stock.Use instead of Truepix™ or AccuPlot™. 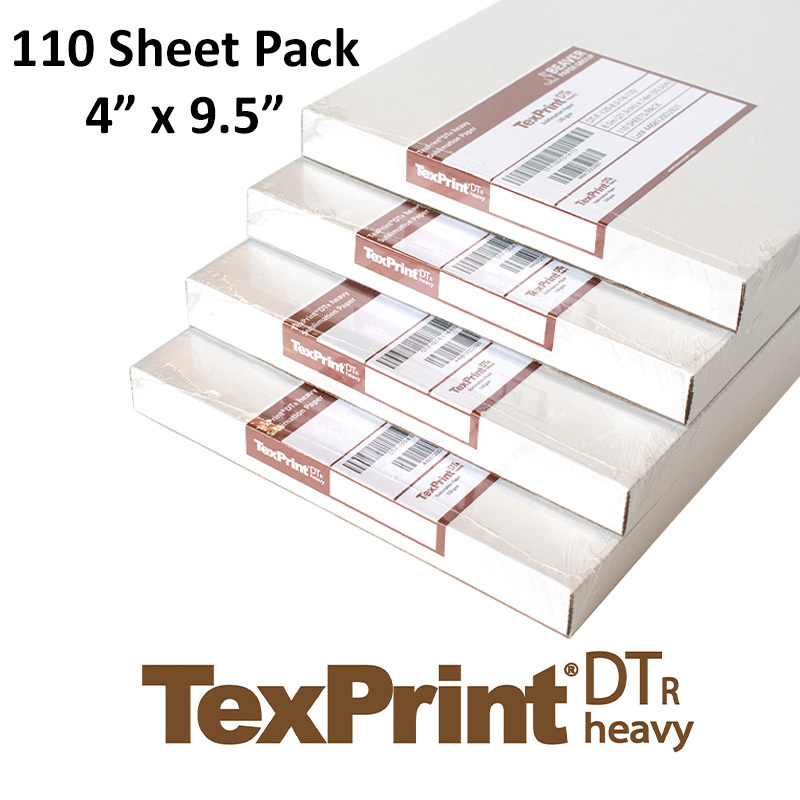 Suitable for all substrates except glass. 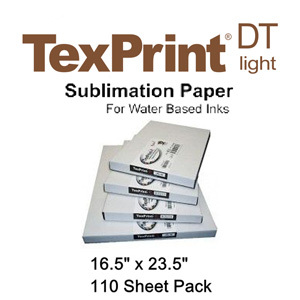 For glass use TexPrint™, sold separately.